Montrose Area and Clarion University wrestling legend Mike Cole made a guest appearance at the Meteors’ end of season wrestling banquet. 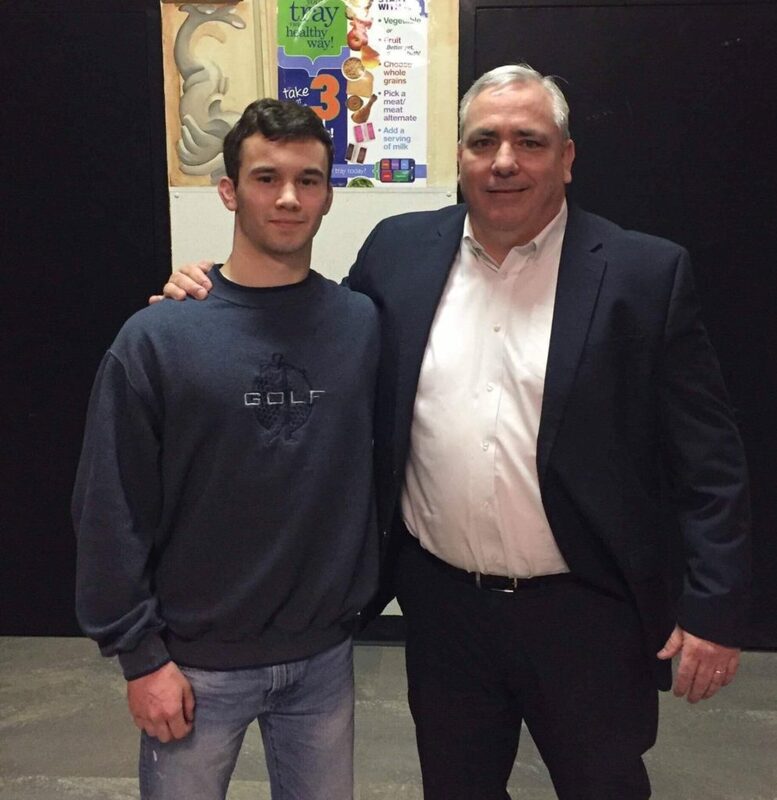 Upon hearing his all-time wins record at Montrose had been broken, Cole reached out to congratulate the new leader, and eventual state medalist, Joe Hester. Hester finished his high school wrestling career with 133 wins. With contact made, the coaching staff asked Cole if he would be the guest of honor at the banquet and the Montrose Class of 1984 alum eagerly obliged. Cole has been coaching wrestling at a very successful New Jersey high school, while also succeeding on Wall Street as a computer software developer for Morgan Stanley. At the banquet, Cole spoke about not only his accomplishments in wrestling but also the sacrifices it took to achieve them and how they have translated to every day life. Cole held the all-time wins record at Montrose with 128 for 35 years. He was also a 1984 PIAA State Champion and a two-time NCAA All-American. Be the first to comment on "Montrose wrestling legend returns"